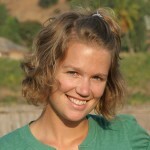 Hope Thornton, a graduate of the School for International Training in Vermont, did an internship with Never Ending Food in 2007. As a culmination of this work and her research, she wrote a thesis for her Master’s Degree dealing with Permaculture. She was looking at the reasons behind why some people in Malawi take very quickly to the ideas of Permaculture, while others fail to do so. Hope’s research is a very important step in assisting with the teaching, promotion, and implementation of Permaculture practices. Her results show some interesting connections between land ownership and age groups, but also shows that things like education and gender had relatively little to do with the uptake of these ideas.